Teaser – CEN Racing Reeper Monster Truck « Big Squid RC – RC Car and Truck News, Reviews, Videos, and More! 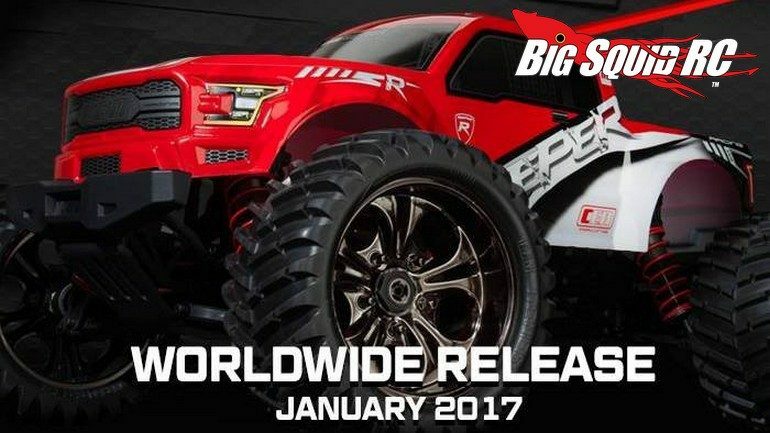 It has been a long while since we have posted anything from CEN Racing, but now they are teasing a new monster truck called the Reeper. In true CEN Racing tradition, the 1/7th scale Reeper should be a physically huge truck. The Reeper is slated to come with a genuine Savox servo and a 6S capable, 1450kV Hobbywing brushless system. Full details will be released soon as the truck is expected to start shipping some time next month. You can hit up This Link to visit the official CEN Racing website or you can Click Here for more CEN news on BigSquidRC.